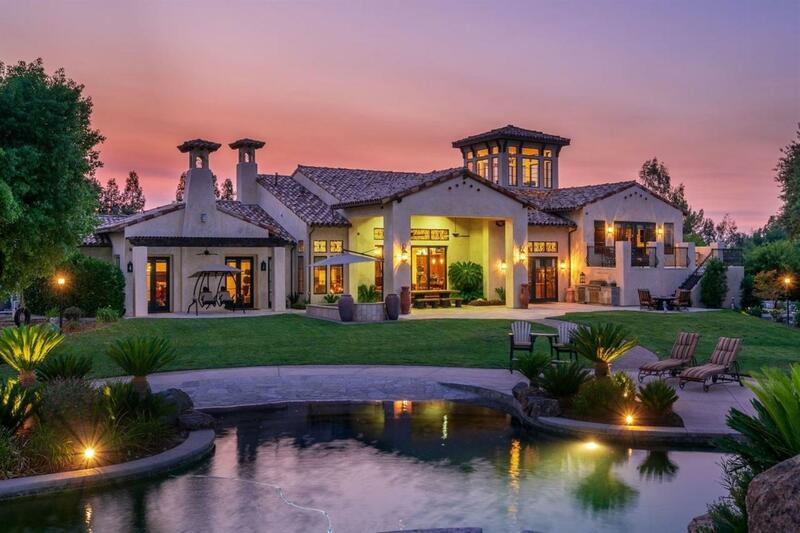 One of a kind acreage estate in NE Fresno. This magnificient approx. 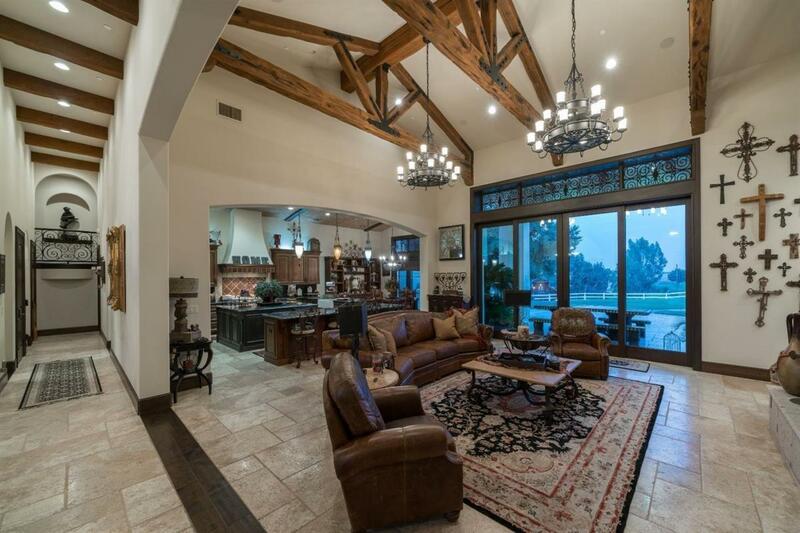 6600 sq ft Cornerstone built custom home features some of the finest amenities in town. Set high on 5 acres overlooking #3 of Copper River with unobstructed views of the mountains! The grounds will not disappoint with disappearing lanai doors that open to a beach entry pool/spa with multiple waterfalls and a slide, an oversized Pergola with outdoor kitchen, putting green, basketball court, and 4 stall barn with private 2 bed/ 1 ba apartment overhead finished with custom cabinets and granite counters. Fully fenced and gated- privacy is key. Plenty of parking this home is an entertainers dream. Private master suite as well as one of the finest home theatres in town, second story game room, and third story observation tower-the views are tremendous in all directions. Paid solar with minimal bill. Located 5-10 minutes from Riverpark and in the prestigious Clovis North District. You will not find another property like it. Listing provided courtesy of Brian Finegan of Brian Finegan, Broker.